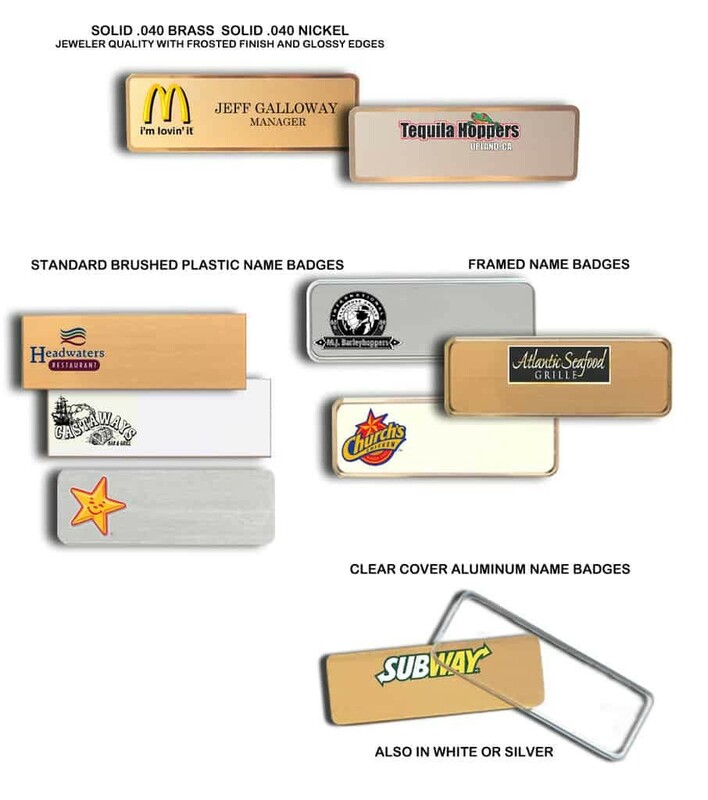 Restaurant Name Badges can be designed in any configuration desired. Below are only a few examples of designs on file. All of our custom name badges are available with magnetic badge holders, pocket sliders, alligator clips or pins. Upload you logo on this website and let us start your design now. All Mockup designs are Emailed for your approval, FREE.